The boy smiles and lights up as he runs as fast as his little legs can carry him into his father’s arms. 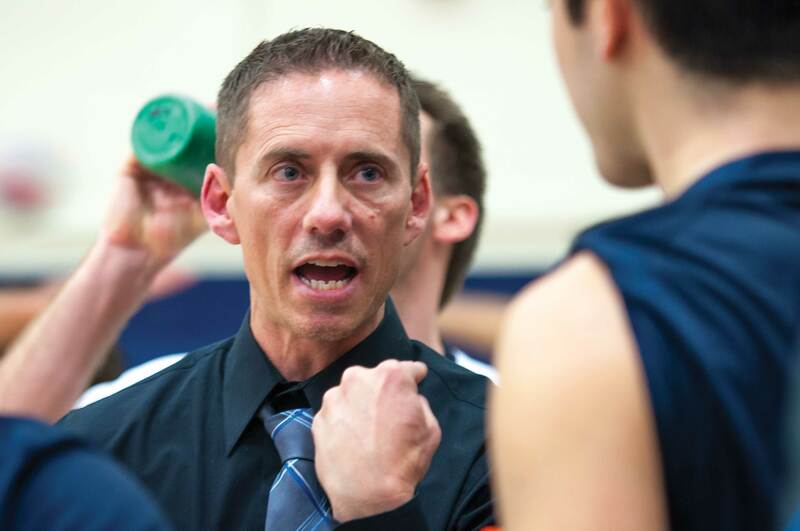 His father, Wes Schneider, California Baptist University men’s volleyball coach, quickly returns the love — never thinking for a moment that he might be too busy working to see his child. After a year of getting to know the team and working with them, Schneider said he looks forward to making this “his” team during his second year at CBU. “Coach Schneider has a goal for success on how he wants to train this group of guys and create a culture of strong work, discipline and team brotherhood,” said Allan Vince, assistant men’s volleyball coach. With a family and brotherly feel to the way he works with his team, Schneider said he is proud of the accomplishments made so far this year. “These guys are doing a great job at starting to understand and learn that patience and discipline of not letting a result sway their mentality, but to stay focused in the moment and keep doing the right thing because, over time, we know success is a byproduct of doing the right thing,” Schneider said. Vince, who works alongside Schneider to train the team, said the way Schneider works with the players encourages a thought process of pursuing something greater. “Quite often, with all the distractions that college students have in their daily lives and schedules, it can sometimes seem impossible to give their very best to something consistently, especially sport, but that is the goal for this team of young athletes, for the belief is it will mirror success in everything they put their minds to,” Vince said. While ensuring that the players learn about success during practices and games, Rocky DeLyon, sophomore mechanical engineering major and men’s volleyball player, said he believes that Schneider also is a teacher in his relationship with the players. Though Schneider said he has high hopes for his team, he also said he understands that his hopes and goals cannot overpower the bond that holds them together. Schneider’s dedication to serving his players as a coach, friend and even a father plays a key role in the way the team functions as a whole.